This antenna is sitting in the top of my 20M tower sloping down from about 18m height. I have worked very much with this antenna, it really does seem to be a solid performer. 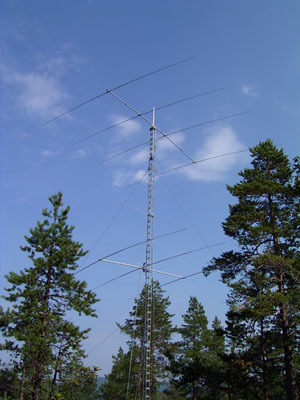 I mostly use this antenna only for CW but during big SSB contests like CQWW etc I usually retune it since its the best antenna I have for 80m. If you look closely to the picture below you can see the inverted vee with broadside against Europe.